Woof. 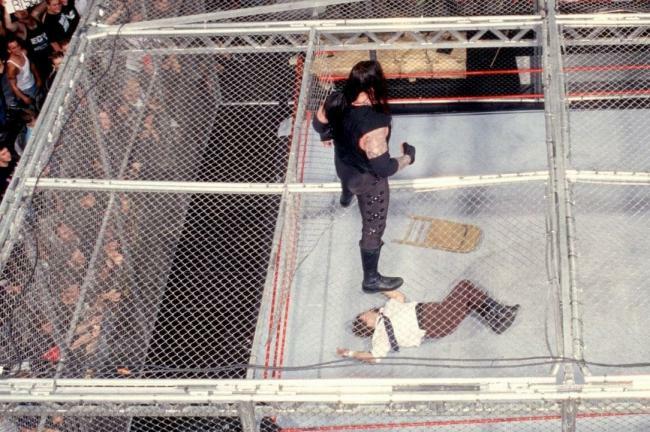 Talk about a terrible go home episode of RAW to take us to Hell in a Cell. Steve and Jason take turns hating on all things Monday Night, including Lesnar’s bizarre non-promo, repetition, and MAKING HERSTORY. Also, both guys agree that Smackdown is the better show now. Join us all for this weird, WTF-ish build-up to tomorrow’s event! This entry was posted in Podcasts, Pro Grapplers and tagged brock lesnar, digital strips, hell in a cell, jason sigler, podcast, smackdown, steve shinney, wwe by The_Best_Jason. Bookmark the permalink.